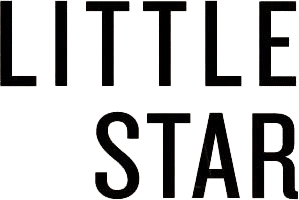 Submissions will also be received at submissions@littlestarjournal.com. We apologize for very likely long delays in reply. Please see our note on submissions below. please do send us your email address. .Give us your zip code for news of events in your area. Thanks! The editor personally reads every submission received by Little Star. We are nearly able to keep up with submissions received by post that are not visibly mass submissions. We receive thousands more submissions by email than we can possibly read. We are offended by submissions, by post or electronic, that are visibly sent to a large number of magazines at once. We give them lowest priority. It is vital to our character as a magazine that editorial decisions about every manuscript are made at the top. We want to be sure to capture writing, wherever it comes from, that meets our vision. A large share of our magazine consists of unsolicited work. This should be good news to writers. In our view the current apparent habit of mass submission is incompatible with such an editorial policy. Human beings charged not just with reading submissions but also with publishing a magazine cannot possibly even begin to read the number of submissions a magazine receives. We propose that some human scale could be restored if writers returned to a system of limited exclusive submission. We would recommend that writers submit to a magazine with which they are familiar, that they have selected for its harmony with their work, and then submit elsewhere after waiting for a decent interval for a reply, for example six weeks. It is certainly possible, in our case, that writers will hear from us months, or years, later, but it seems reasonable that, after an appropriate wait, a writer might press their case elsewhere and a magazine lose its exclusive shot. We can see how the frustrating difficulty of getting published makes such a process sound interminable, but the current habit of mass submission nearly insures that submitted work cannot be read by editors with decision-making authority. A return to a more targetted approach to submissions would enable a more deliberate process for the review of submissions, which would surely be in everyone’s interest. Meanwhile, to those who have not heard from us: Your work is still under consideration and will someday be read closely and seriously by a person with the authority to publish it. This is probably not the case in a magazine that gets back to you more quickly.